Tienes Victoria Gold de Canadá , le obtuve un 40% en un mes y la cambié por Argonaut. Tienes varias americanas buenas, y canadienses. Troy resources es otra máquina. Tahoe, Goldcorp, casi todas están alcistas, pero no se puede estar en todas, je,je. Argonatut Gold gana pasta ya, es bueno fijarse en las que ya están ganando dinero. Birimian es que la veo bien porque a parte del oro tienen litio y otros metales. Y la cogí a buen precio. en las canadienses se puede poner Stop Loss con Degiro? No sé en general, pero en African Gold G, (canadiense), no se puede. y las comisiones son altas? digamos en caso de incertir 1000€, cuanto serian? Depende del mercado y precio de la acción. Puedes hacer la prueba en De Giro y después anulas la orden, así sabes lo que te cobran. Es que depende del valor, en Canadá, para valores de pocos céntimos sale cara las comisiones, pues es 1c por acción más 2 euros. De empezar a subir un 9% a bajar un 11%, mucha volatilidad! La corrección parece haber terminado, yo no pienso venderla. Continua subiendo después de corrección, buena señal. Birimian Gold (ASX:BGS) is off and racing in its transition from a gold play to a lithium player – unveiling its first drilling campaign at its Bougouni project in Mali. BGS told shareholders that a reverse circulation drilling rig was on site in Mali and a diamond drilling rig would be on site in about three weeks. BGs is aiming to drill 5000m at the project, which has an exploration target of 15 – 18 million tonnes of lithium oxide at an average grade of 2.2%. The exploration target was informed by previous work done by mining consultancy CSA Global as part of a program funded by the World Bank aimed at stimulating the economy of Mali – which remains a high jurisdictional risk. Getting mining projects up and running in countries such as Mali is no simple feat, and there may be challenges ahead. CSA Global undertook a systematic sampling program at the site to grab a bulk sample, which was then processed to produce a 6.7% concentrate – proving that rock from Bougouni could be processed into a saleable product. The aim of the drilling is to fast-track an initial resource estimate and release a scoping study by the end of the year. Ojo el Domingo con Birimian, buen cierre del oro y ella corregida. Tiene todas las probabilidades de salir disparada. 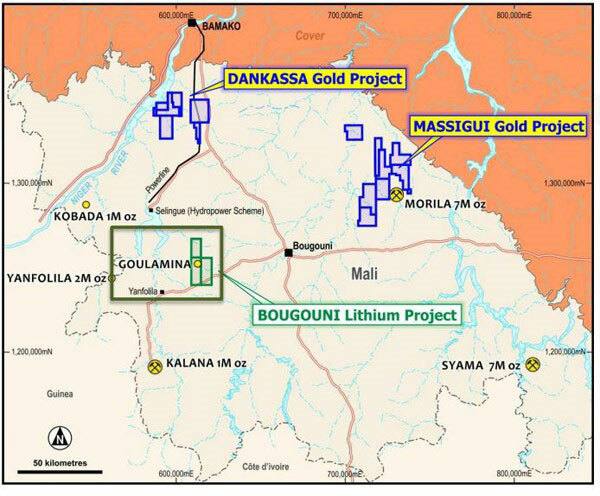 Birimian Gold Ltd (ASX: BGS) has intersected broad zones of spodumene (lithium) bearing pegmatite in its RC (reverse circulation) drilling campaign at the Goulamina lithium deposit of the wholly owned Bougouni Lithium Project in southern Mali. The maiden 5000 metres drilling program commenced in early May. First assay results are expected by the end of June/early July. Drilling also confirmed the geological continuity of the mineralised body along the northern portion of the Goulamina zone. Birimian may test new targets in the current drilling program following the identification of multiple additional lithium bearing pegmatites in the deposit outcrop and its vicinity. The Goulamina lithium deposit is located close to a sealed highway and has access to grid power and abundant water supply. The initial exploration target at the deposit is estimated in the range of 15 to 18 million tonnes grading between 1.8% and 2.2% Li20. The deposit has significant high grade and bulk tonnage potential. 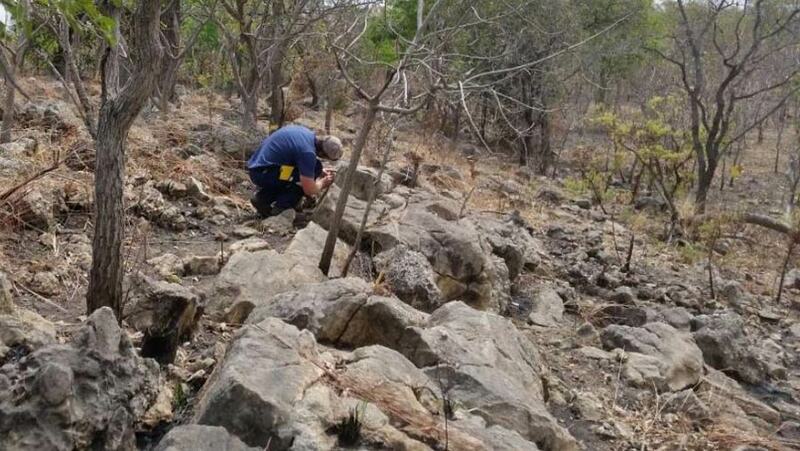 Testing on a 3-tonne bulk sample, conducted as part of a World Bank Development Project, has confirmed that the Goulamina pegmatite can produce a high quality chemical grade (6.7%) spodumene concentrate. The company is hoping the drilling program will provide enough data for the estimation of an initial JORC compliant resource at the Goulamina deposit, with potential to quickly advance to a scoping study and thereafter, a pre-feasibility study. Last quarter, Birimian completed a $3 million rights issue for funding its lithium exploration and evaluation activities at Bougouni. Shares in Birimian are up 463%.